The harp is an exquisite instrument, both to look at and for setting the perfect, unforgettable, atmosphere for your event. 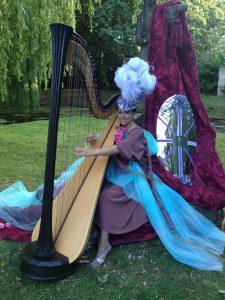 Amanda is a harpist with a difference! Classically trained, she has gone on to perform with Jamie Cullum and Dannii Minogue and is in great demand for recordings, functions and events with style! Her music ranges from classical to contemporary, specialising in modern and jazz. 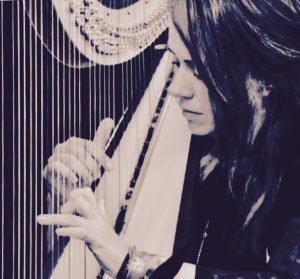 As a recent graduate with a Masters in Jazz (the first known harpist in the UK), Amanda’s versatility as a professional harpist has resulted in her being in great demand. Her attention to detail and capability result in her impressive client history, with performances for many high profile events. Amanda is a very experienced harpist and available to provide beautiful harp music for weddings, functions and any corporate/private event. Regularly seen working with singers and jazz groups, Amanda is able to tailor the music to your event, whether as a session musician or as a solo performer. 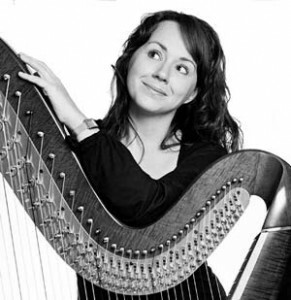 Jazz harp tutor at the Royal Welsh College of Music and Drama in Cardiff and Birmingham Conservatoire and the recommended harpist for Belmond/Orient Express, Amanda is certainly a harpist of experience and will be able to create the perfect atmosphere for any event. Voted “Recommended soloist (Wales) by Brides Magazine 2008/9”.